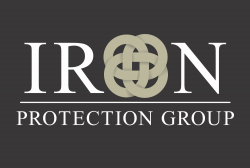 Iron Protection Group is a Veteran founded and managed security company based out of Denver, CO. We specialize in armed security in a vast array of operations from discrete and concealed, to large facility patrols in which body armor and assault rifles are deemed more efficient. We offer consulting, cash transportation, and mobile patrols, as well as camera instillation and monitoring. With our training at IPG, we are confident in providing any and all security related services, adapting and molding to our clients specific needs. We have recently extended our operations to California as the first step to becoming the nation's leading security company. We are in need of quality operators to join our team as we expand and elevate, setting the standard and surpassing expectation.